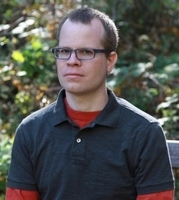 Award-winning short story writer Ben Stroud, published by the local Graywolf Press, will give a public reading at Augsburg College on Thursday, March 6th. The event is free and open to the public. Ben Stroud’s story collection Byzantium was published by Graywolf in July. The collection won the 2012 Bread Loaf Writers’ Conference Bakeless Fiction Prize and was selected as a Publisher’s Weekly Best Summer Book for 2013. Ben’s stories have appeared in Harper’s Magazine, One Story, Electric Literature, Boston Review, and The American Scholar, among other places, and have been anthologized in New Stories from the South and Best American Mystery Stories. Originally from Texas, he holds a BA in English and History from the University of Texas at Austin and an MFA in Fiction and PhD in Twentieth-Century American Literature from the University of Michigan. He has received residencies from Yaddo and the MacDowell Colony, and has taught literature and creative writing at universities in the US and Germany. Currently, Ben is Assistant Professor of English and Creative Writing at the University of Toledo. The reading will be held in the Barnes & Noble Bookstore in Oren Gateway Center at Augsburg College. View a campus map for details. Metered parking is available on city streets bordering campus. You may also contact the Department of Public Safety to request a visitor’s permit to park in a campus lot; see information here.